At approximately 6 am, early Tuesday morning, September 29th, a man was hit and killed by a Tri-Rail train near Dania Beach in the Fort Lauderdale area. The crash took place approximately near Ravenswood Road and Southwest 31st street. The cause for the crash is unknown at this time. Broward County police and investigators are currently investigating the accident. Train service was suspended for several hours between the Fort Lauderdale and Hollywood airport stations. Police also are not yet releasing any details on the victim or the accident itself. We mostly hear about car accidents in the Fort Lauderdale area, particularly those that happen on I-95 since this is one of the heaviest-traveled highways in all of Florida. However, a train crash such as this catches us by surprise. At this time, there is no information on the victim or why he was on the tracks during peak train travel hours. 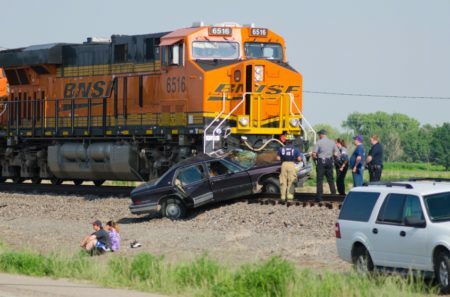 Yes, the victim was trespassing on the tracks, and it is difficult for a train this size to come to a stop in the event of an emergency such as this. However, as more information unfolds, we will begin to see if this accident turns out to be an example of a wrongful death case. If you or a loved one was involved in a car accident, train accident or even the victim of a wrongful death case, you need an experienced personal injury attorney. A personal injury and wrongful death attorney can help discuss the details of an accident and evaluate the situation to determine if you have a viable case. For more information on how a personal injury attorney can help you with your specific accident or case, contact an experienced personal injury attorney in Boca Raton and Fort Lauderdale today.